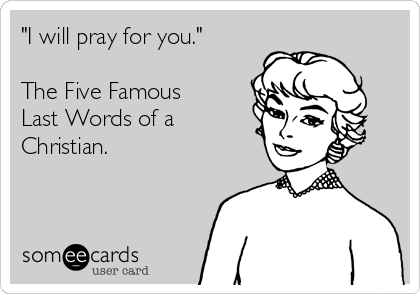 “I will pray for you” or what I like to call, “The 5 Famous Last Words of a Christian” are exactly that for most people – me, included. After I had used up the little prayer journal my aunt had given me for keeping up with prayer requests, I could not find another like it. This was before the days of Amazon and internet search capability. Since I couldn’t find another one, I gave it up. 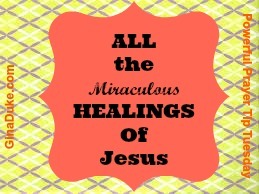 Several years later, a dear friend ask me to pray for her dad who was struggling health wise. I told her, “I will pray for you”, and then it completely left my mind. That was until she called me up to thank me for praying. 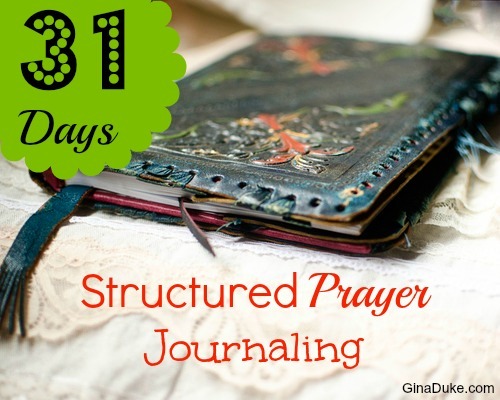 I was so mad at myself that I decided to do something about it – take up the prayer journaling method I had learned from my aunt’s gift. 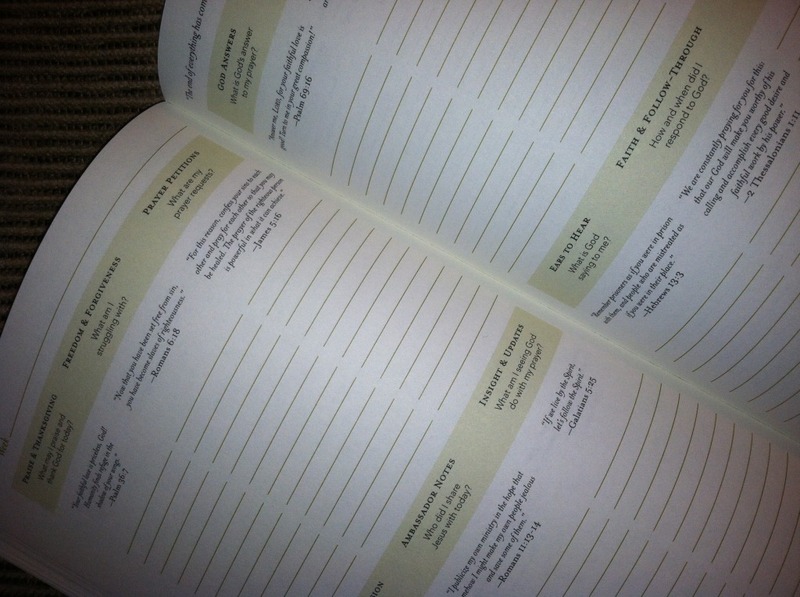 It dawned on me that even though I could not find one like I had, I could create a notebook with an Excel spreadsheet. From there, it grew into my own personal prayer closet. Now, all I do is survey my day and think about those things I have been asked to pray over and those things that I’ve uncovered throughout the day that need prayer. Using my “Let your words be few” method, I simply list the thing or person I am praying for and then the desired outcome. I base the desired outcome on the divine titles and attributes of the holy Trinity; this is the only way to pray according to God’s will. For instance, if someone loses their job, resist the temptation to pray they get another job. What? 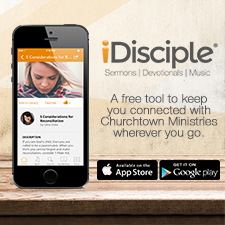 I know that sounds unhelpful, but truth is, we do not know what God is trying to accomplish in that person’s life. 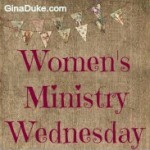 Maybe God is chastising that person or calling them into ministry? Perhaps God is re-positioning them for something better? I think the “higher” quality prayer petition is to pray for what is truly needed and in line with the nature of Who God is, and that is PROVISION. Remember, Jehovah-Jireh (God our Provider)? That is really what that person needs during this time of unemployment. Instead of telling God how to provide for that person’s provision (with another job), I am praying that the real need is met, and leaving it up God to work His will. James also instructs every sick person to call upon the elders to come and pray for their healing (James 5:14). Even when Jesus Himself was faced with death, He asked for His life to be spared. The key is to have the heart and mindset that however God answers that request for healing that it will be well with our soul – because we desire God’s will as much as our desired outcome. This is the second time I’ve mentioned using divine titles in our prayers during my 31 Days of Structured Prayer Journaling series. If you do not have a book about the divine titles, you can typically Google a list to use. 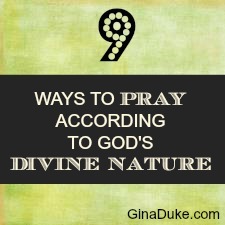 When we pray this way, we are always praying according to the nature of who God is. Tomorrow, I will discuss God’s answers to your prayers. 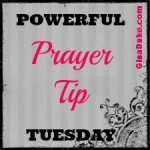 I will be sharing a fact with you that I bet you did not know about God answering our prayers. It will be real eye-opener! 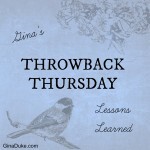 Gina, I loved this, and now will need to go back and catch up on your 31 day prayer series! Thanks so much!